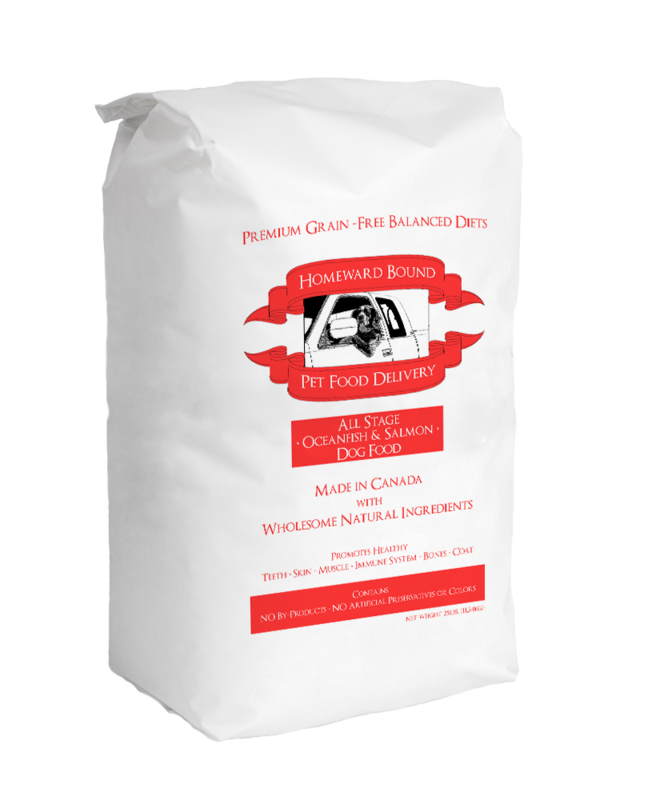 Our Homeward Bound Grain Free All Stage Oceanfish & Salmon recipe features a well-balanced diet suitable for dogs of all ages, sizes, and breeds. Our recipes are made in Canada with farm-fresh natural ingredients including protein-rich oceanfish and salmon that will provide your dog with the exceptional nutrition and endless energy it needs to live a healthy and happy life. The HB All Stage Oceanfish & Salmon Dog Food Recipe is formulated to meet the nutritional levels established by the AAFCO Dog Food Nutrient Profiles for all life stages.